The rustic decor is one of the most searched on the Internet. Getting a warm ambient and remind us the countryside, makes us feel better and improve our mood. A rustic decoration can be obtained with furniture and with decorative objects, in addition to other objects that, in turn, are also useful. This salt and pepper shakers with tray kit will help you get that rustic touch that you want in your kitchen. 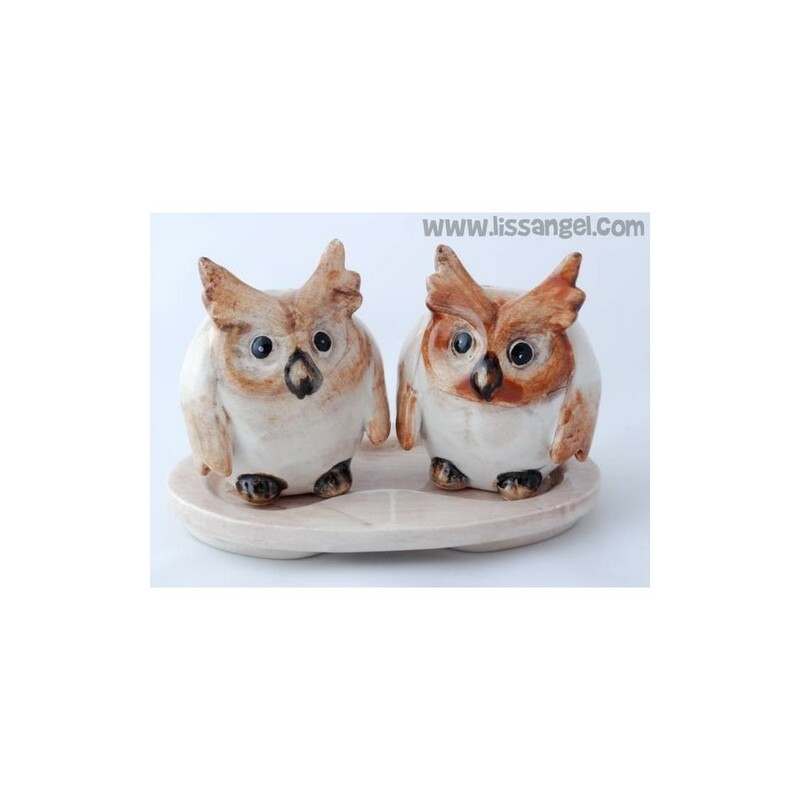 It consists of a matching porcelain tray, a salt shaker and a pepper shaker in the form of two nice and thick owls also porcelain, painted rustic style. With them you can dress your dishes in the most original way possible. 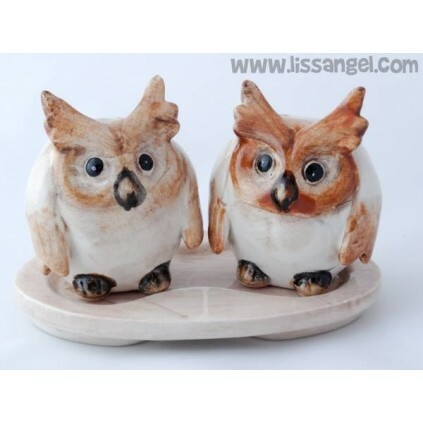 A gift for rustic things, animals and owls lovers.